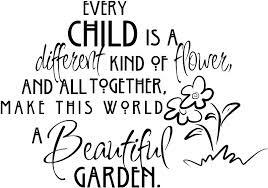 Wonder at the differences between one child and another? One big way we all differ involves temperament – a genetic given. Thank you keithnicolas.files.wordpress.com for this. Think about your child and figure out where s/he ranks in terms of these traits using the following ratings. Five is always the mid-point between the two extremes. This is just a way to give you a quick estimate of some of your child’s temperament traits and not at all evidenced based. Still many parents have found it helpful. The experts see personality as a clustering of traits. An easy-going personality would be someone who was a five or six in terms of energy; is regular in his or her bodily functions; the middle or above in terms of sensitivity, reactivity, approach to people; regarding change at a seven eight; as high as a nine in persistence and ability to stay focused: and finally, cheerful most of the time. Challenging personalities generally fall into two types. Some have low energy; are highly irregular in terms of bodily function; highly sensitive to stimuli; mixed reactors – meaning no outward reaction, but an occasional loud explosion; cautious; easily discouraged; gives up quickly, doen’t like change, and is often sad or irritable. These are often anxious children, need lots of support, and help learning to deal with life. Some are the opposite in many ways—not sensitive; bold, and persistent. These are the children who are difficult to most difficult to control as they resist control. Some of these bold and persistent personalities are cheerful; some are sad or irritable. The cheerful ones do better at life. All children have strengths and weaknesses. Learning a child’s temperament helps you have more reasonable expectations. Figure out your temperament and how well yours fits with your child’s temperament.. Go back and apply the ratings to yourself and see how your ratings match or contradict your child’s ratings. Also check out your child’s other parent’s temperament. A bold, high activity parent or caregiver might find a shy and low energy child challenging. A sensitive child, might become more fearful living with a bold, energetic parent or caregiver. Highly active children have a difficult time managing school. Temperament Rating Scales help anyone caring for or about a child think more clearly about the child’s needs and how well his/her needs fit with an adult. When we don’t understand temperament, we often feel the child is being difficult on purpose, then you are expecting him/her to control what s/he cannot control. This entry was posted in Parenting Issues and tagged challenging children, children, Emotional fitness, emotional intelligence, help for parents, Katherine Gordy Levine, parenting, Parents Are People Too, postaday, temperament, When Good Kids Do Bad Things. Bookmark the permalink.